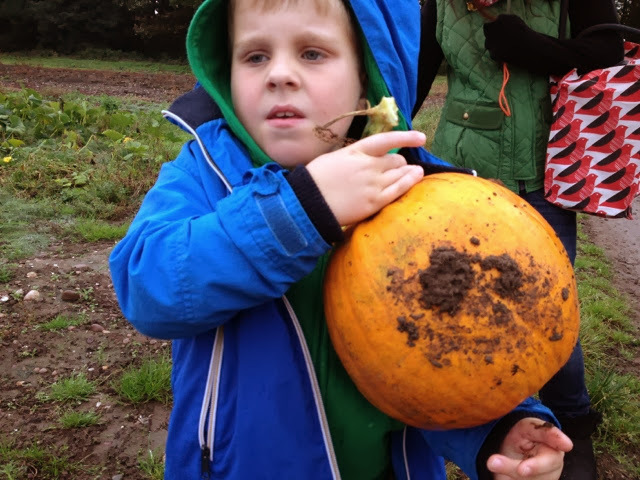 Every year around Halloween we head down to Essington farm to pick our Halloween pumpkins for carving. Last year because of all the bad weather all the crops had been rained off and there was none to pick (sad faces all round). So this year we phoned ahead to see if there were pumpkins for picking. They don't start their tractor ride to the field until next week but they said we could make our own way up there and pick away. Not the best of days for traipsing around a muddy farm but then that sums us up, picking out door activities to do on the wrong days. 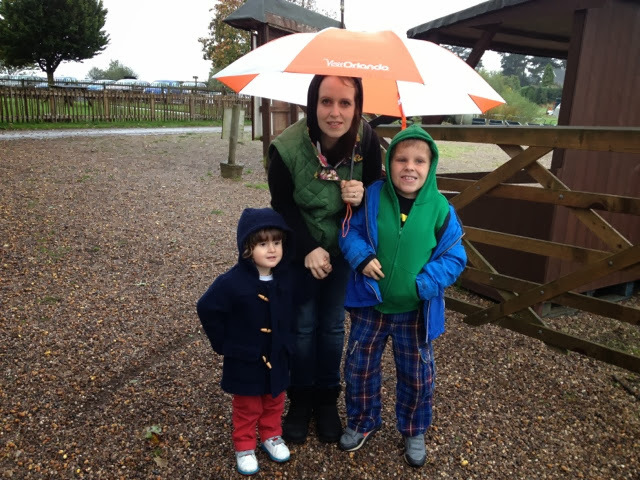 It's only a bit of rain though and we make our own fun whether its sunny or gloomy. We made it to the pumpkin field and despite the 'no entry' sign on the gate we headed in, we had been told it was okay after all. 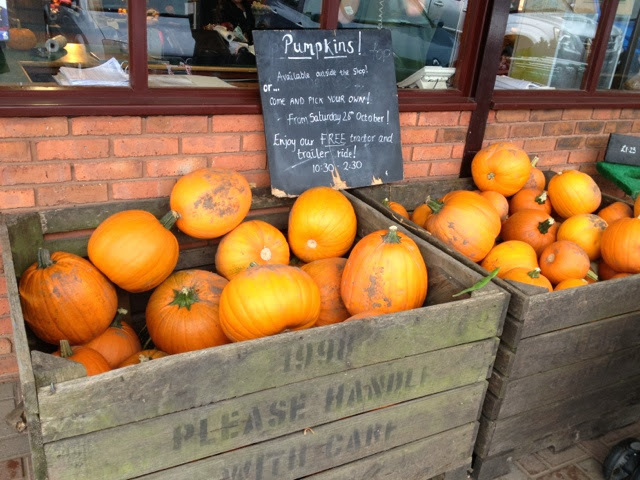 The boys picked a pumpkin each and we brushed them off as best we could and put them in a bag to take them to the farm shop. Opeie's little pumpkin was so cute and were going to do something extra fun with that one. And then we got told off by a farmer, oops! Apparently we were not supposed to be in that field until next week but we explained that we had phoned ahead of the visit and was told it was okay. Trust us to cause trouble wherever we go. The friendly farmer was fine though and apologised for the confusion. Well our pumpkins have been brought now so next is a bit of creativity, stay tuned for what we actually use our pumpkins for, should be fun.